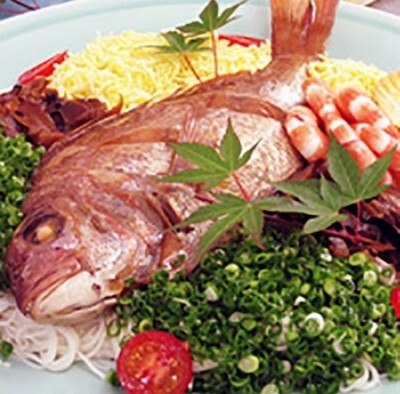 This is a festive dish of Nanyo area, where sweet and salty stewed sea bream and somen noodles are served together. 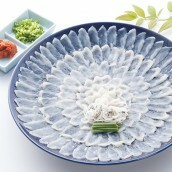 The whole fish is placed on top of the somen noodles which are served in shapes of waves. 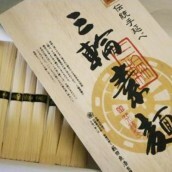 It is served in celebrations among family and relatives such as commemoration of kiju (77th birthday), weaning ceremony of a baby, or wedding ceremonies. 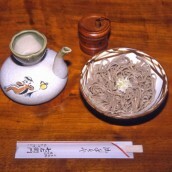 In Uwajima city there is a custom where the sea bream somen and two colorful big plates called ‘fukumen’ are placed at the top seat. Wash sea bream and cut into three fillets. 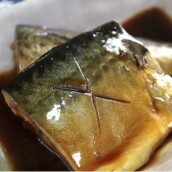 Grill the backbone of the sea bream. 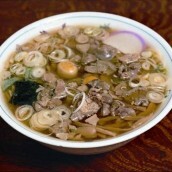 The bone will be used for dashi.Put grilled backbone in blended dashi and boil. 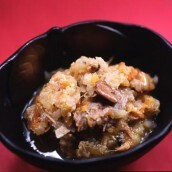 Take out the bone when umami is transferred to the soup. 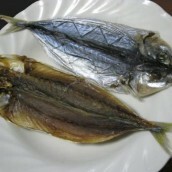 Broil the sea bream flesh with salt and place on a plate. 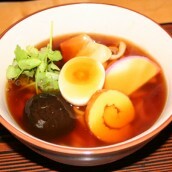 Boil somen noodles with hot water for three minutes. Cool with cold water. Wash well with water using hand and remove the sliminess on the surface. Leave in ice water. 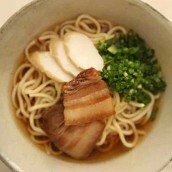 Remove roots of the spring onions and cut in small pieces. 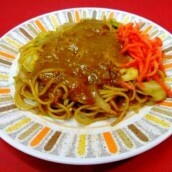 Place somen noodles on the plate where sea bream is placed. 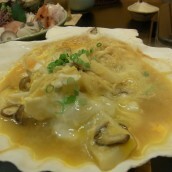 Shiitake mushrooms and sliced omelets will make it better. 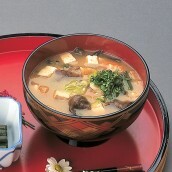 Pour dashi soup on top when eating.